Yogurt frosting for dogs has been the popular choice for decorating dog treats because it has been the only available choice on the market. Dogs are carnivores by history. They did not evolve by eating dairy products such as humans enjoy. However, to keep costs and ease of manufacturing low, food products for dogs began to use dairy fillers. Many pets are lactose-intolerant and dairy is not the best choice for them. It is even recommended that cats drink water, not milk! Magifrost dog icing is the first non-dairy dog treat icing. 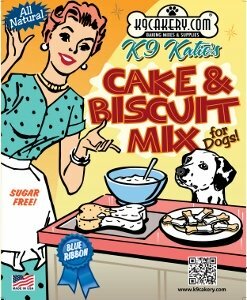 It is a dog treat icing powder that uses tapioca as its base. Tapioca is naturally low in fat and is gluten-free. 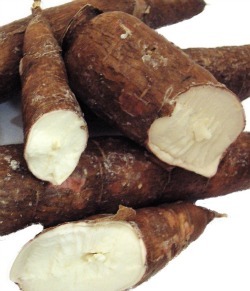 Tapioca comes from the cassava plant, so it is a natural substance. It is not a grain and it is not made from dairy. Yogurt is not necessary for icing to work well. It has been used because it was available. Magifrost tapioca dog icing dries much shinier and glossier than the yogurt predecessors. It is easier to work with. 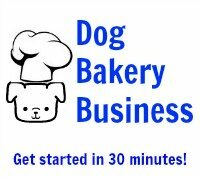 Professional dog bakeries choose it consistently. It will not melt in the heat. The Fido's Frosting brand has changed the way that dog bakeries can do business. They used to have to shut down in the summer, but now they can continue to sell gourmet dog treats and dog cakes with beautiful decorations without fear that the icing will melt before the cake reaches its destination. Treats and cakes can be shipped all over the world without fear that the icing will melt sitting in a hot truck. Many pet bakeries are still using yogurt chips to decorate their treats. Yogurt chips are mainly hydrogenated fat and sugar. There may be a little yogurt in them. Bakery items are advertised as being decorated with yogurt icing, however, the truth is that they are decorated with fat and sugar and maybe there's a little yogurt. They can't tell you that because then you would never buy the product! You can tell if a pet bakery uses yogurt chips. The icing will start to melt and stick to the wrapping. This is very noticeable especially during holiday sales of pet treats in the big retail outlets. You can find brightly decorated treats but look closely at the ones shoved in the back! Fido's Frosting products do not need refrigeration.